On Friday February 7th, 134 students and 15 teachers from Academy at Palumbo High School ventured to the Penn Museum to take part in the International Classroom Program, a collaboration with the UPenn South Asia Center, and other university centers and globally focused non-profit organizations. The workshop, which teaches students about world cultures both past and present, incorporated key 21st Century Skills such as world languages, intercultural communication, and appreciation for cultural diversity. 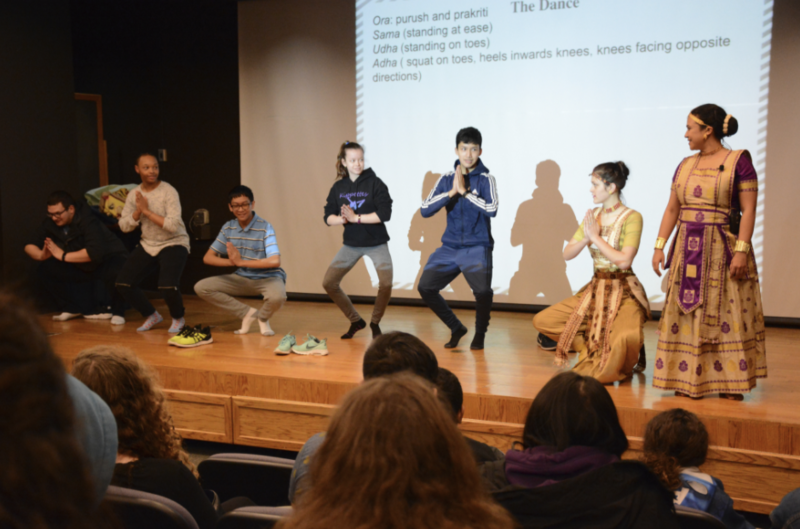 After a presentation and museum tour, students from Palumbo had a chance to see a performance by and hear from the International Classroom program presenter, Madhu Bora, a classically trained Indian dancer. Despite a snowy morning and Eagles Parade preparations, the event was a huge success.